Napa cabbage is starting to become a favorite veggie of mine. It’s so versatile. You can add it to soups, use it as filling for potstickers, make a slaw or salad like this Asian Chopped Salad or of course use it to make stuffed cabbage rolls like shown here today. It’s a mild and delicate cabbage, which is why I think my kids didn’t make too much of a fuss. 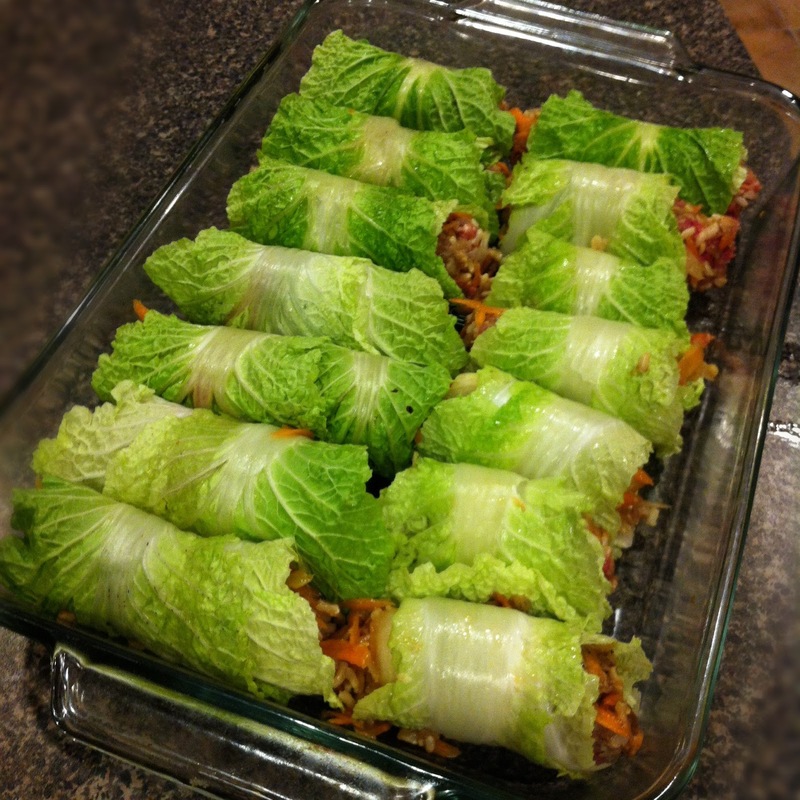 I find myself purchasing it more often these days, and was happy when my friend Bev shared this recipe from Whole Living last year which I changed up slightly with what I had in my own kitchen to create these Asian Stuffed Napa Cabbage Rolls.